Since 1978, Red McCombs Ranches has been known for quality Texas Longhorn cattle. Over the years many breed greats, both bulls and cows have called the RM home. Red hired Alan Sparger to oversee his breeding program at it's inception and he continues in that role today. 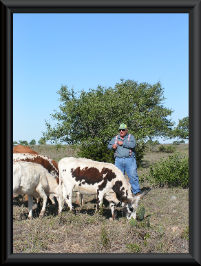 Red and Alan are both recognized as leaders in the breeding and marketing of Texas Longhorn cattle and it is fair to say that nobody knows more about the cattle than Alan. The breeding herd boasts the strongest lineup of prepotent herdsires found anywhere. These bulls are known throughout the breed--Super Bowl (owned with Y.O. Ranch), Touchdown of RM, RM Heavy Touch (owned with the Allens), BL Safari Chex (owned with MacLeod/Filip) and Iron Mike ST . These bulls anchor an elite breeding program. Ranch manager Chad Schnitz is a hands on professional who is a vital element to our success. He oversees the day-to-day management of the herd, is in charge of our A. I. program and our embryo transfer program. Chad is well-known by breeders who attend our annual sale. 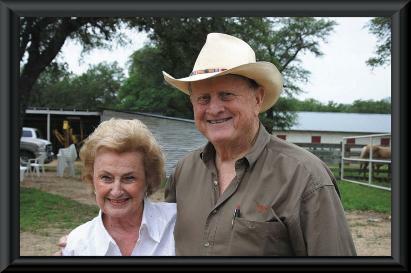 Red McCombs Ranches has one of the longest track records in the industry. Professionals are in charge of every aspect of the breeding program and our successes are evident just by viewing the herd. 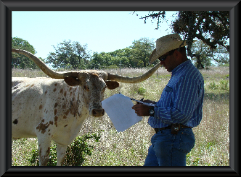 We are pleased to offer outstanding seedstock to producers in the Texas Longhorn breed.